As a child Les spent his early years growing up in Yorkshire. In 1965 at the age of 31, he gave up his job to devote his time to painting. He had trained and practiced as a lettering artist, gilder and interior designer whilst in his spare time developing the painting style which, as it matured, has made the craftsman also an artist. 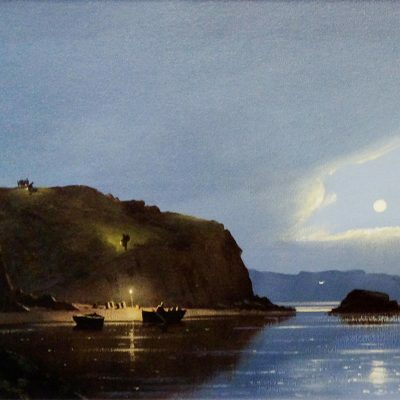 In 1971 Les and his family moved to their present home in Cornwall and over the years his reputation as a leading artist has continually flourished. He ran his own gallery in Padstow, Cornwall during the 1980’s before concentrating on painting full time. 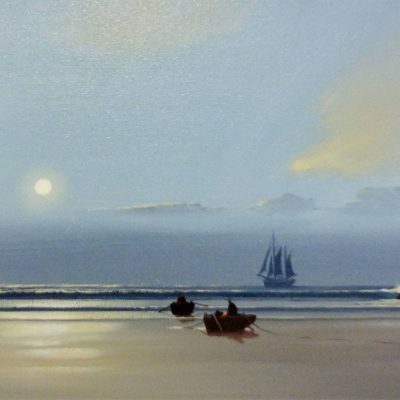 His many exhibitions include The Royal Society of Marine Artists, The Royal Society of British Artists and had one-man shows throughout Britain. 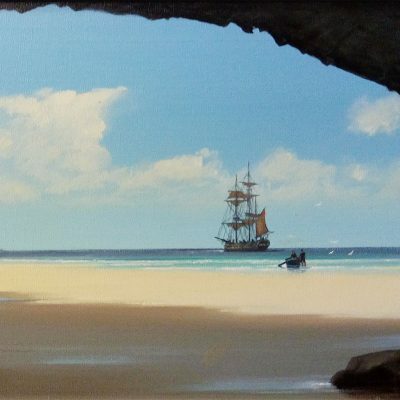 His commissions include The Royal Norwegian Navy, The Royal Marines, The Readers Digest and Westward Television. Reproductions of his work have been published by six UK publishers and marketed worldwide in 53 countries.